Don’t you love the look of egg cups? They are perfect for your Easter breakfasts or brunches, as they keep your hard boiled eggs upright and easy to eat. Egg cups are also a great way to display the eggs you so carefully decorated and painted. 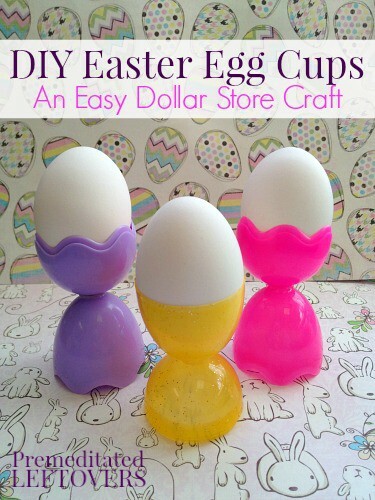 You can buy egg cups at various home décor shops and stores, but why not make your own instead? 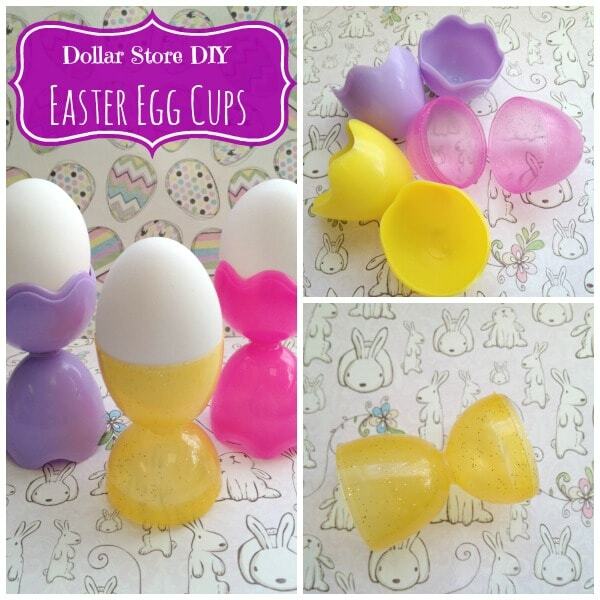 With just a few dollar store materials you can make your own Easter egg cups to use for all of your Easter festivities. Take a look at how simple it is. When is the last time you made a craft using just two supplies? Well two supplies are all you need to make these egg cups happen. 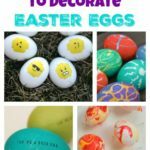 Browse your local dollar store for colorful and fun plastic eggs. They should have a wide variety! 1. Begin by making sure your eggs are clean. This will help them adhere well. Just wipe them with a cloth to remove any dust or debris. 2. Turn the eggs over. You are going to be attaching them at the ends. 3. Apply a generous dab of glue to the end of the larger half. Flip it over. Press the smaller, second half on top of it. Press firmly until the glue is dry and the egg half is in place. 4. Once your egg halves are connected and the glue is dry, you will notice your egg cup instantly take shape. 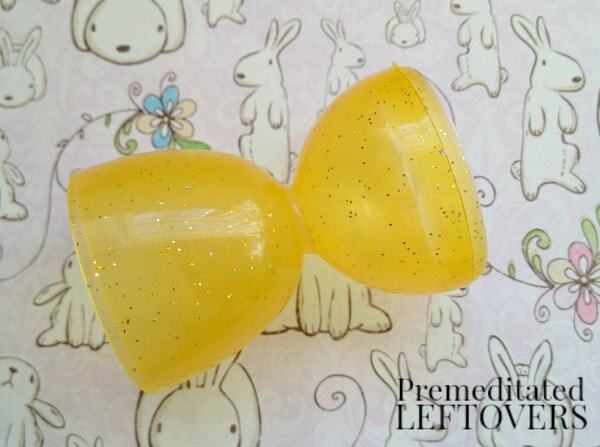 All you need to do now is place your egg in and presto, you have an easy Easter egg cup! Gather some bright and colorful eggs and give these Easter egg cups a try. 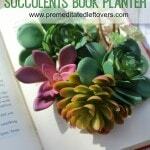 They will look so sweet on your Easter table and your guests are sure to take notice. Hello! 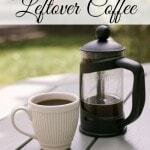 Stopping by from the Busy Monday link party. These are so cute and clever. I was just thinking about buying some egg cups! Thank you for sharing! Such a cute idea!!! Pinning and tweeted!